March 12, 2019, 7:11 a.m. The median house price in Bendigo was $374,000 in Q4 2018, which represented annual (Q4 2017 – Q4 2018) median price growth of 6.9%. During this timeframe the number of houses sold declined by -24.3%, which suggests an undersupply of houses. On the other hand, the median unit price in Bendigo softened by -4.4% over the past 12 months to Q4 2018 to $258,000. During this time, the number of units sold declined by -35.0% which suggests that the market is saturated and that there is a strong preference towards houses. March 5, 2019, 5:10 a.m. The median house price in Tumut during Q4 2018 was $222,500, whilst the median vacant land price was $101,500. This represents annual (Q4 2017 – Q4 2018) price growth of -7.3% (house) and 12.8% (land). The Tumut 2nd Half 2018 Research Factsheet reported growth of 7.2% (house) and -5.2% (land) annually to Q2 2018. Comparing growth levels, houses in Tumut have become more affordable, whilst land has strengthened in value. Sellers can capitalise on vacant land value upswing, whilst buyers have an opportunity to purchase homes in a cooler market. March 5, 2019, 5 a.m.
Q4 2018 saw Sanctuary Point record a median house price of $470,000 and a median vacant land price of $315,000. This represents annual price growth of 9.3% (house) and 53.7% (vacant land) between Q4 2017 to Q4 2018. By comparison, the 2nd Half 2018 Sanctuary Point Property Factsheet reported annual (Q2 2017 – Q2 2018) price growth of 14.6% (house) and 5.8% (vacant land). Houses in Sanctuary Point have grown at a more affordable rate whilst land outpaced previous growth. March 5, 2019, 4:35 a.m.
Robina recorded a median house price of $713,000 and $473,000 for units in Q4 2018. This is an annual (Q4 2017-Q4 2018) median price growth of 1.9% for houses and 0.7% for units. Compared to the Robina 2nd half 2018 Research Factsheet, which reported an annual (Q2 2017 – Q2 2018) median price change of -0.2% (house) and 3.8% (units), houses in Robina has strengthened in value and units have become more affordable. 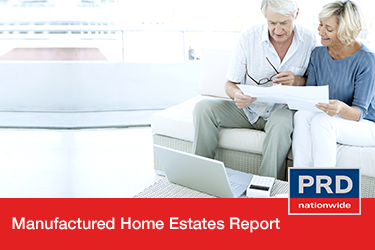 Overall this represents a resilient market and an ideal environment for buyers. March 5, 2019, 4:25 a.m.
Palm Beach recorded a median house price of $830,750 and $445,625 for units in Q4 2018. This represent an annual (Q4 2017-Q4 2018) price softening of -2.3% for houses and -4.2% for units. Compared to the Palm Beach* 2nd half 2018 Research Factsheet, which reported an annual (Q2 2017 – Q2 2018) price change of 1.1% for houses and -14.4% for units, houses in Palm Beach have become more affordable whereas units have strengthened in value. Now is an ideal time for first home buyers to tap into the house market. March 5, 2019, 1:34 a.m. Manufactured Home Estates: An Affordable Retirement Option? The pressure of Australia’s ageing population and growing desire for affordability calls for an investigation into the diversity of housing options. According to the Australian Bureau of Statistics (ABS), during 2016 there were 3.7 million Australians aged over 65 years, representing 15% of the population. This is a significant increase from the 1976 ABS figure of 1.3 million people aged over 65 years, representing only 9% of the population. March 1, 2019, 6:58 a.m.
Over the past 12 months leading up to Q4 2018, the Coolangatta* market, which for this report captures all of the Gold Coast Local Government Area (LGA), recorded a median house price of $645,000. This reflected an annual median price softening of -1.5% for houses. Meanwhile median unit prices in the Gold Coast LGA strengthened by 1.2% to $430,000. March 1, 2019, 6:51 a.m. The Hunter Valley recorded median prices of $460,000 for houses and $348,000 for units in Q4 2018. This represented annual (Q4 2017 – Q4 2018) price shifts of +2.8% for houses and -0.6% for units. 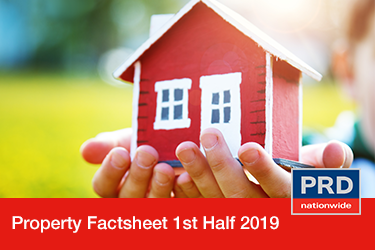 Compared to the 2nd Half 2018 Hunter Valley Property Factsheet, which reported price growth of 4.7% (house) and 13.1% (unit), properties in the Hunter Valley have become slightly more affordable after a period of strong growth. This is good news for first time buyers seeking to enter the market. Feb. 26, 2019, 7:09 a.m.
Albury recorded median prices of $365,000 for houses and $145,000 for vacant land in Q4 2018. This resulted in an annual (Q4 2017 – Q4 2018) a median price increase of 9.8% for houses, while vacant land median prices remained stable. By comparison, the 2nd Half 2018 Albury Property Factsheet reported price growth of 8.6% (house) and 4.6% (land). Feb. 25, 2019, 7:12 a.m. In Q4 2018, Ingleburn recorded a median house price of $658,000 and a median unit price of $445,000. This represented an annual (Q4 2017 – Q4 2018) median price change of -11.1% for houses and -10.6% for units. By comparison, the 2nd Half 2018 Ingleburn Property Factsheet recorded price growth of 0.7% for houses and 8.7% for units. This suggests the Ingleburn market has recently cooled, which is in line with the price changes experienced within the wider Sydney Metro market. Softening prices suggest that now is an ideal opportunity for those looking to enter the market.